It was such a peaceful start to the day, being able to wake gently and admire the countryside views as we pulled back the curtains. Breakfast was served in the conservatory which was bathed in sunlight as we took our seats. We helped ourselves to some cheese, fruit and yogurt and then chose hot dishes from the extensive menu to set us up for the day. I don’t know how we managed a full breakfast plus toast and marmalade after the previous evening’s feast but it was all so tasty that we were unable to resist. As we past the reception area on the way back to our room, we spotted these two lovely dogs waiting patiently whilst their owners finished their breakfast. 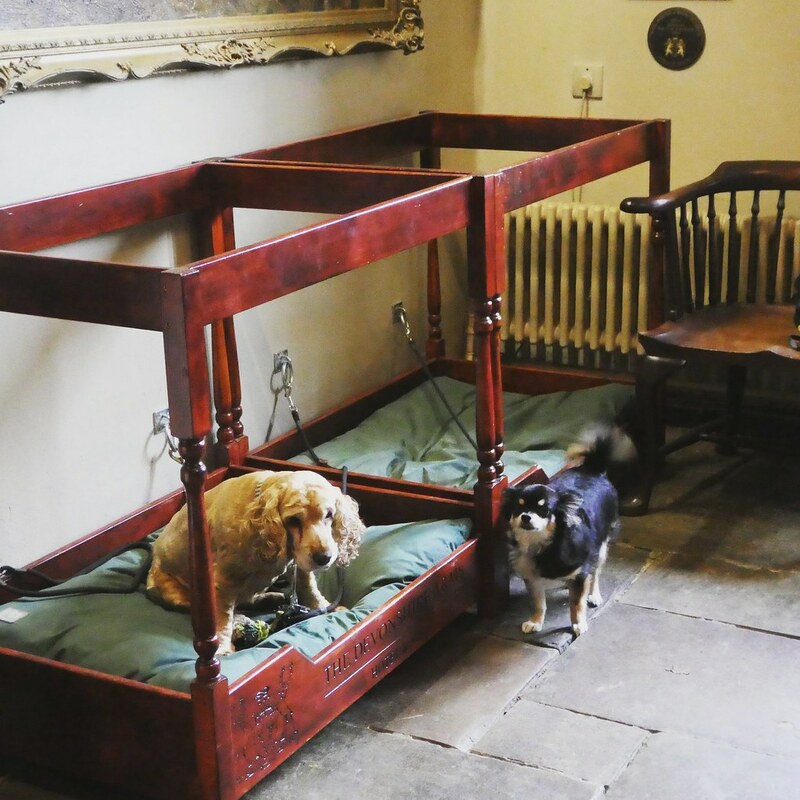 The Devonshire Arms is a dog friendly hotel offering a pet-concierge service and those dog beds looked very comfortable. Wrapping up well against the winter chill, we drove the short distance to the Bolton Abbey Estate’s main car park overlooking the river. 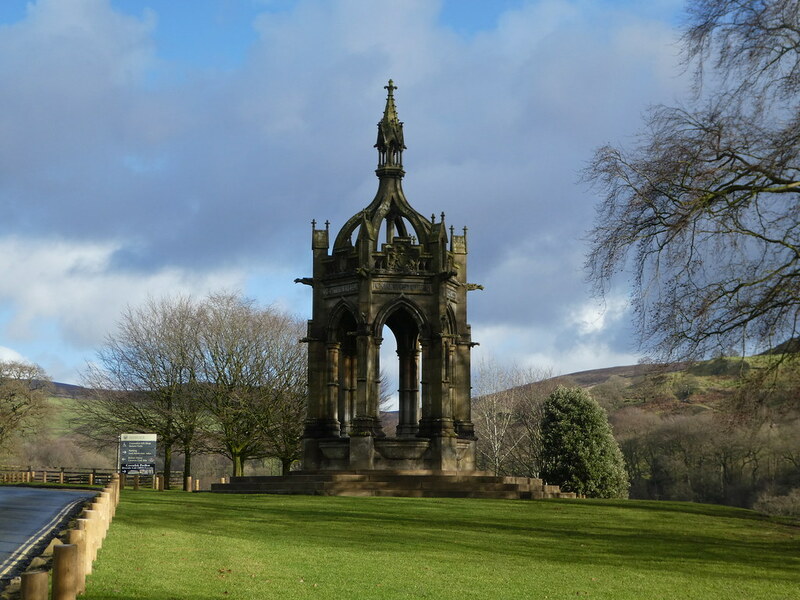 After passing through a stone archway, the turn off to the car park is next to the imposing Cavendish Memorial. 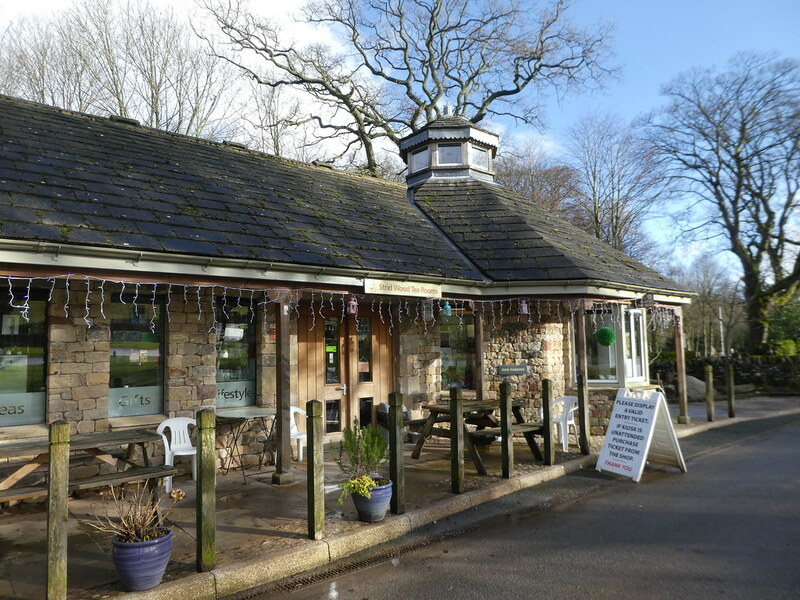 At the starting point of the walking trails lies the Cavendish Pavilion which includes a large cafe and gift shop. During the warmer months, this popular beauty spot is filled with walkers and families enjoying a riverside picnic but on our mid-winter visit it was fairly quiet. We followed the green walking trail through the Strid Woods on the West Bank of the River Wharfe. This path is suitable for pushchairs and wheelchairs and is a gentle 1.7km (1 mile) walk, taking approximately 30 minutes. 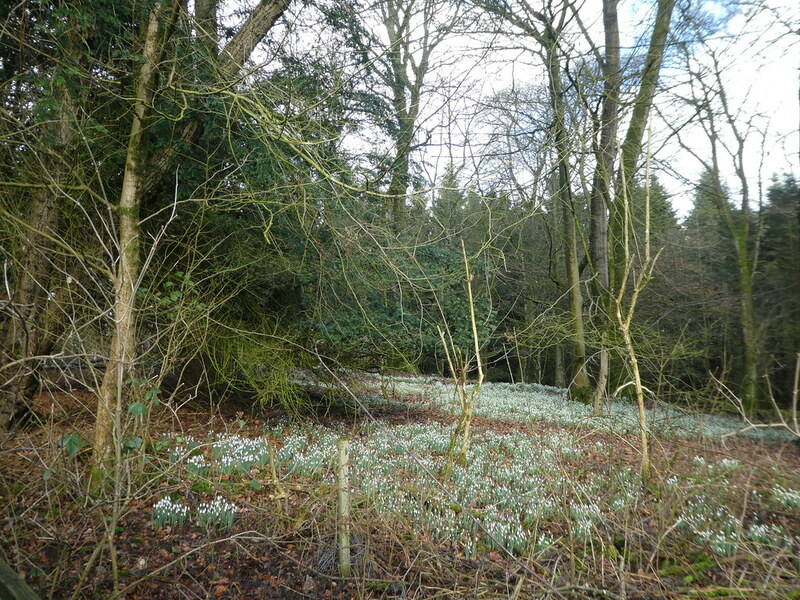 It was a pleasant morning stroll through the woods where we found the first signs of spring with clumps of snowdrops along the way. A variety of birds frequent the woods, including red kites, skylarks, kingfishers and short-eared owls. 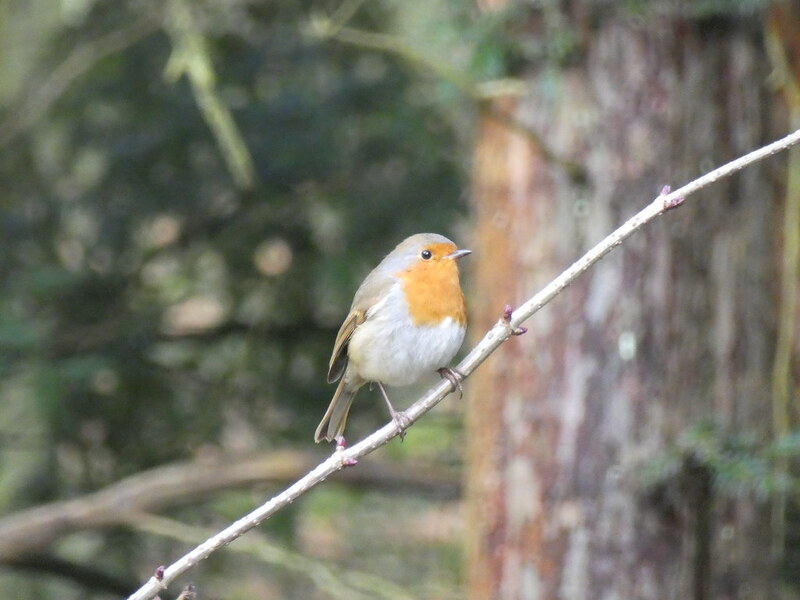 Sadly, we didn’t spot any of these but we did see this cheerful looking robin. The trail follows the meander of the river with picturesque views, which have inspired many artists including William Turner, who enjoyed painting here. 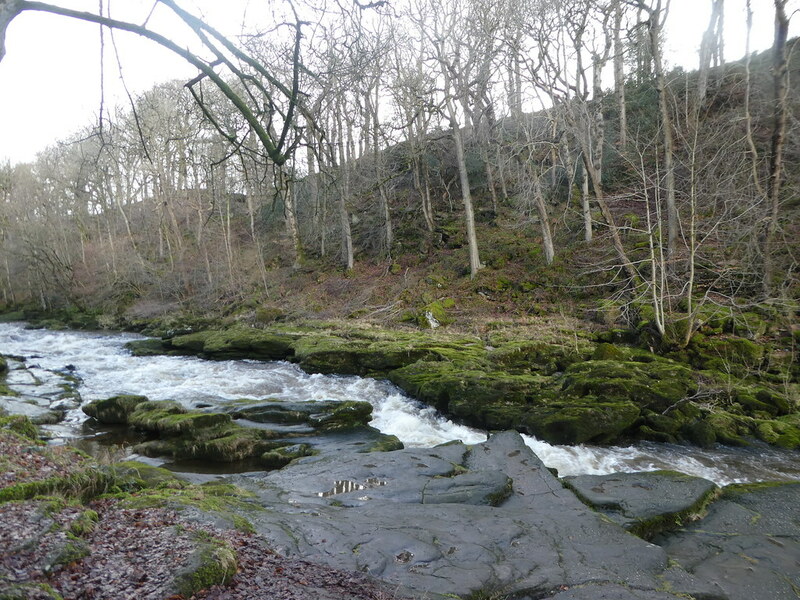 Soon, we arrived at the famous Strid which is a narrow and dangerous cleft formed by the river cutting its way through a soft band of limestone. Here, the river suddenly narrows, forcing water through at great pressure. The chasm has claimed the lives of people who have tried to jump over it, so we took heed of the warning signs and I used my camera from a safe distance. We retraced our steps back to the car but for those preferring a shorter walk, there is an additional car park near to the Strid. Back at the hotel we gathered our belongings together and as we were returning to reception to check out, we were invited to view one of the hotel’s holiday cottages located nearby. We were taken in an electric car and learnt that the hotel has four electric vehicle charging points for guest use and was awarded the gold award for Green Tourism in 2015. 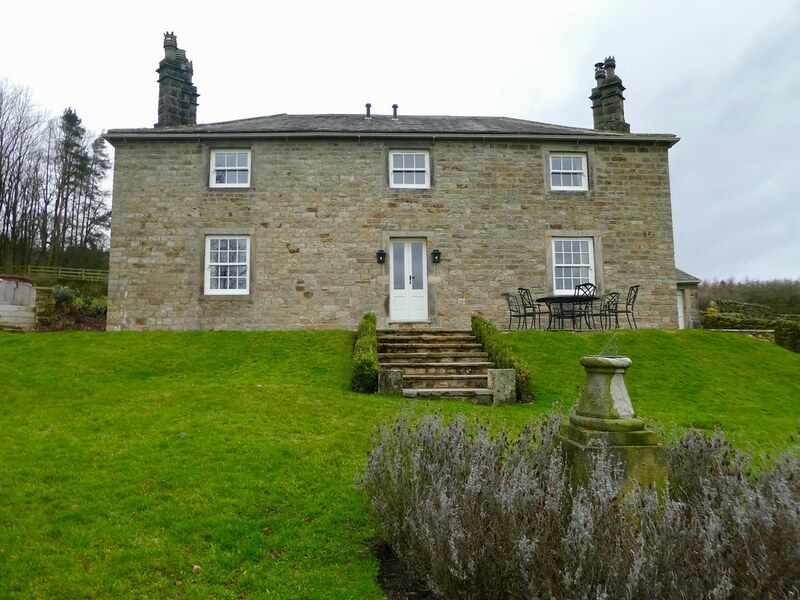 Stank House Farm is tucked away in a secluded spot on the estate just one mile from the hotel. It’s a traditional stone built farmhouse that has been lovingly restored to the highest standards and oozes rustic charm. The living room, with its deep filled sofas is perfect for relaxing in front of the fire. Whilst in the dining room, I could just imagine family gatherings around the huge table. The property sleeps 6 with each of the three ensuite bedrooms being individually furnished. 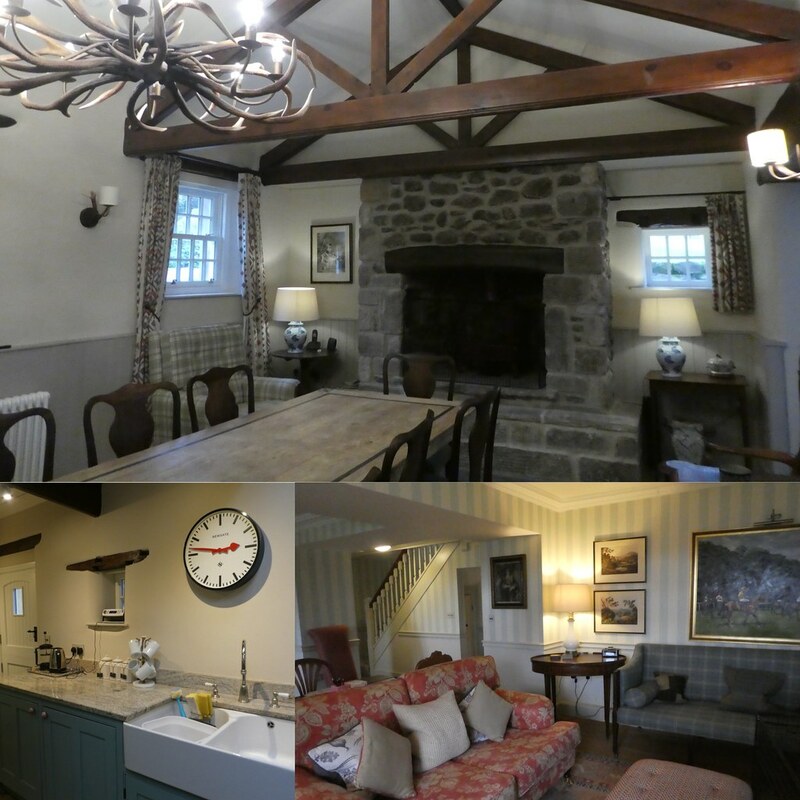 As well as using the fully equipped farmhouse kitchen, guests are able to arrange transport in the hotel’s electric car, enabling them to enjoy a drink to accompany their meal out. Outside, the landscaped gardens even include a hot tub and offer far reaching views across the valley. We returned to the hotel and decided to make a final visit to the spa before leaving. After a dip in the pool we had a relaxing time in the steam room leaving us with a warm glow. Our short winter break at the Devonshire Arms had been the perfect way to beat the winter blues. We’d enjoyed scenic countryside walks, delicious food and very friendly hospitality. 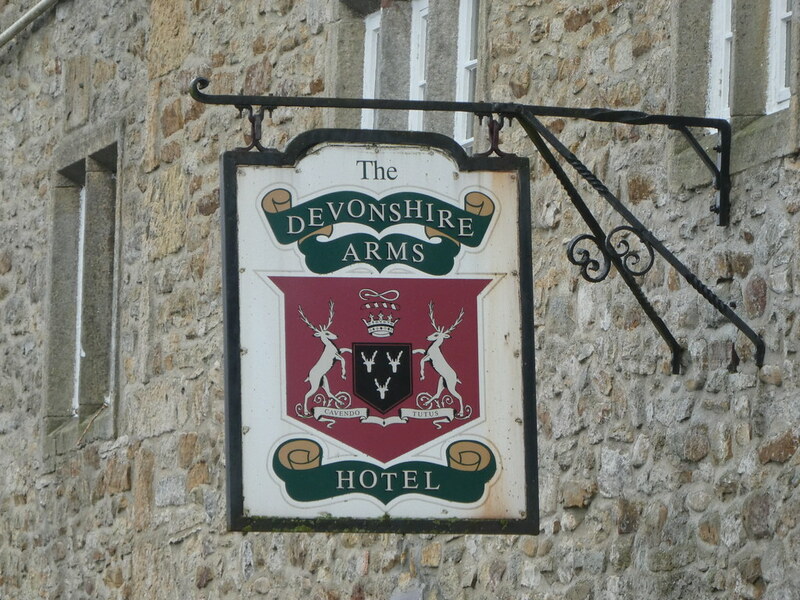 I would like to thank the Devonshire Arms Hotel & Spa for arranging our visit. As always, all views and opinions are entirely my own. 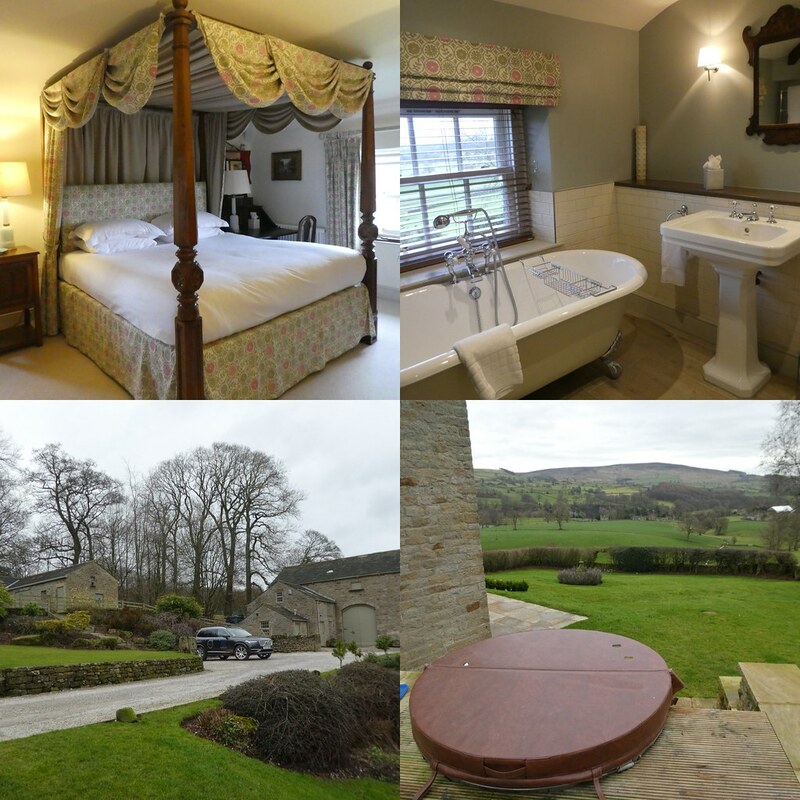 Thank you, Bolton Abbey has some beautiful scenery together with cosy accommodation ! This is the first time I am hearing about Bolton Abbey and it seems like a very charming place with picturesque scenery. Your pictures were so inspiring. When would it be the best time of the year to explore Bolton Abbey? I think one could enjoy a visit to Bolton Abbey at any time of year but it is particularly beautiful between Spring and Autumn. I hope you get an opportunity to visit sometime soon. Have loved reading your posts! They have really inspired me! Thank you for your kind words. The Bolton Abbey estate is beautiful. It’s definitely the place to stay for some pet pampering Suvi, not to mention for us as well! A very good way to spend Yorkshire Day! Thank You so much for sharing your trip. What a lovely place to visit. It’s my pleasure, it’s so nice to read that you enjoyed my posts on Bolton Abbey. What a beautiful green view you had from your room! Would love to spend a weekend in a place like this. It was an absolutely beautiful place to spend a weekend. Piia. I hope you get an opportunity to visit the Yorkshire countryside one day. I love how the little dogs get those gorgeous beds to sleep on until picked up by their owners…so cute. I would also love to stay in one of those cottages – in winter too with a fire and then strolling around as you did. Another love – that little robin!!! Thanks Sue for taking the time to comment on my Bolton Abbey posts. Pets are definitely welcomed and pampered at the Devonshire which is great as there are so many scenic walking trails through the surrounding estate. Hope you have a good week, M.
What a great trip and lovely photos! 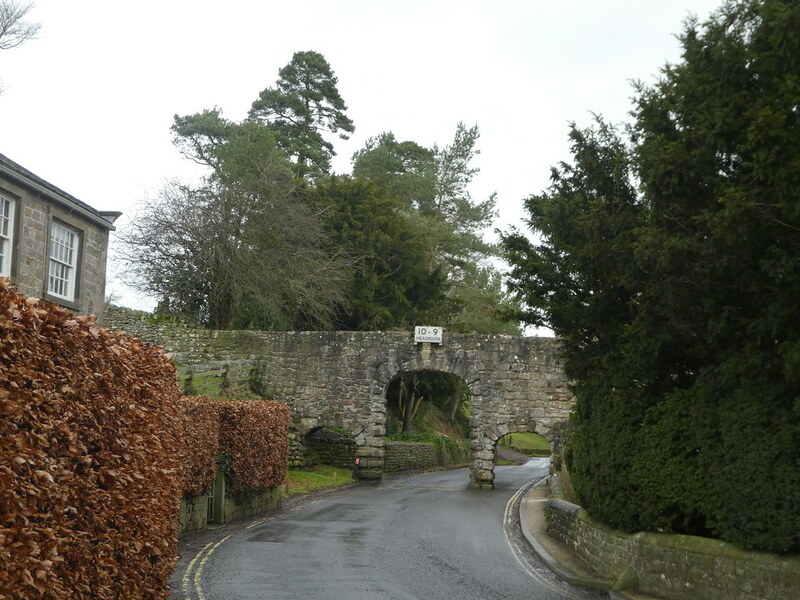 Thank you Andrew, both the Devonshire Arms Hotel and it’s surrounding estate are really beautiful. Thank you – those dog beds look some comfortable and I believe the receptionists offer pets some little treats too! Thank you Ian for your generous comments. 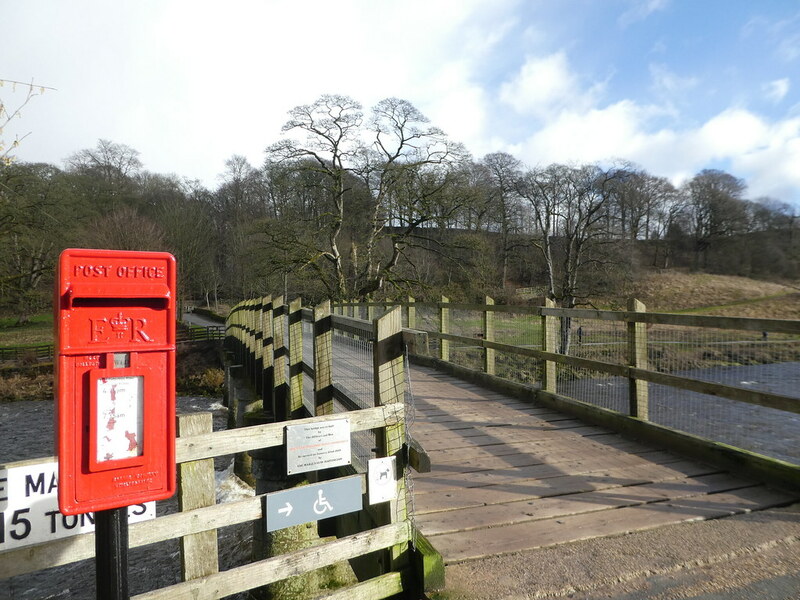 I’m so pleased you enjoyed these posts on the beautiful Bolton Abbey estate. Another lovely sounding day. A stay in that farmhouse would be wonderful, I think! Wouldn’t it just Susan! I do hope that you get an opportunity to visit the Yorkshire countryside one day. Have a good weekend. 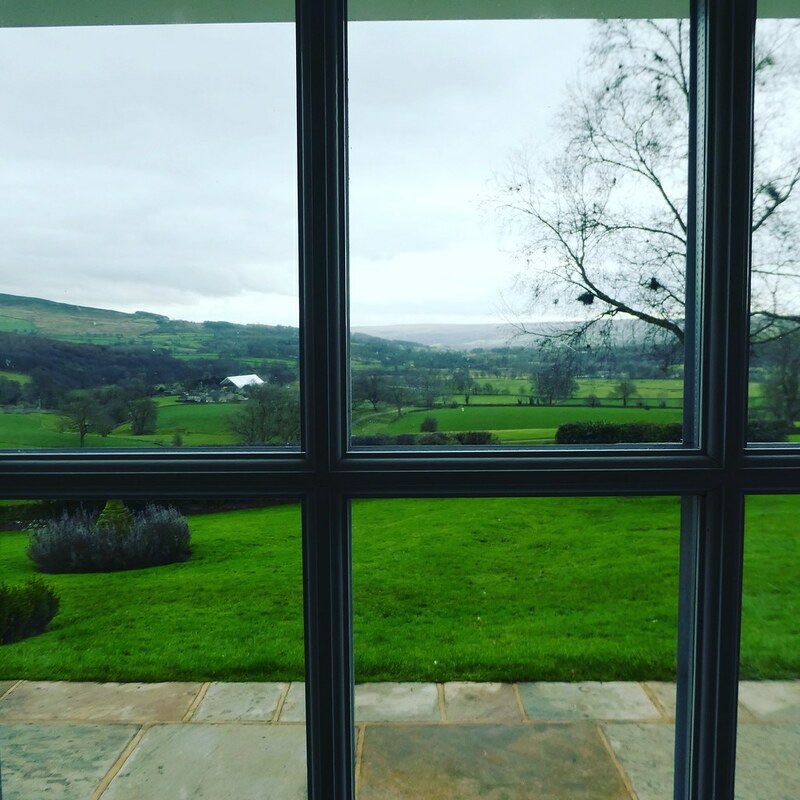 M.
Thank you, both the Devonshire Arms Hotel and the entire Bolton Abbey estate are gorgeous and we really enjoyed our winter break in the countryside. It was a lovely couple of days in the countryside Marcus. Thank you, as always for your welcome thoughts on my post and have a great weekend too! Thanks for your post. I’ve been at Bolton Abbey many times. It is a favourite place for us to go as a couple and as a family. It’s one of those places where you feel you have entered another world and are totally chilled. I agree that Bolton Abbey is a beautiful, peaceful part of the country yet easily accessible from larger towns and cities. Thank you for your comments. The English countryside is so beautiful, it is so soff looking. Thank you for a great post. It’s my pleasure Kristina, I’m glad you liked it. Have a good weekend. Love going up to Bolton Abbey as we only live down the road in Harrogate. Lovely in the summer but I bet nice and peaceful in the winter. It’s very peaceful there in winter but still as beautiful as ever. Harrogate is gorgeous too! You had me at “being able to wake gently”…! Wonderful photos and the place looks heavenly. Thank you Phyllis, it is indeed a lovely place.